CHEERS TO 8 AWESOME YEARS! Happy APRIL anniversary to us!!! We are celebrating 8 awesome years in business!!! Corks and Forks Walking Tour. Offer valid Monday through Thursday tours during the month of April. 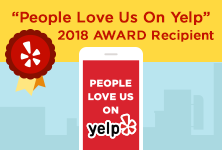 THANK YOU to all our guests past, present and future! Voted BEST ‘crawl’ in St. Augustine by Travel and Leisure Magazine! 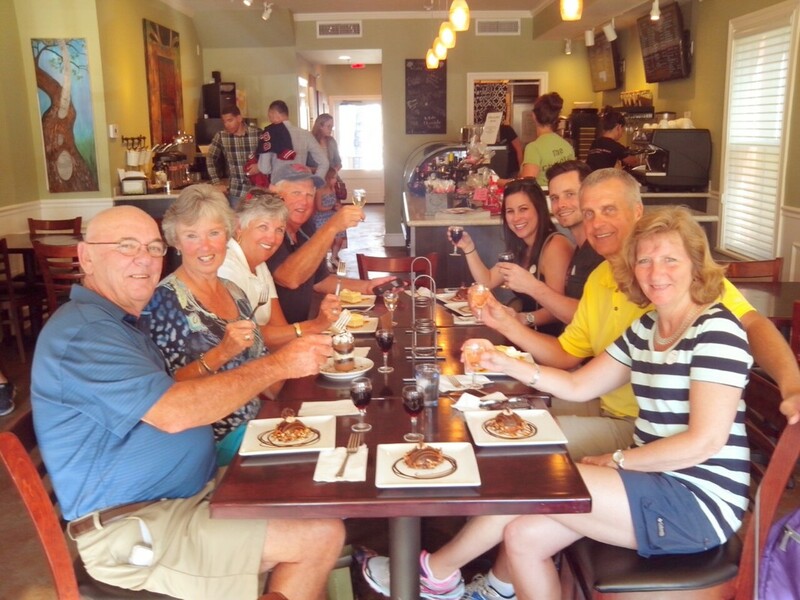 As we leisurely stroll through town, you will learn where the local foodies dine, taste farm fresh ingredients that inspire local chefs, sip glorious boutique wines and explore the beautiful historic streets! *Beer can be substituted for wine upon request. Join us for a 3 hour food and wine pairing tour on our electric car. It's a rollin' event for the taste buds! 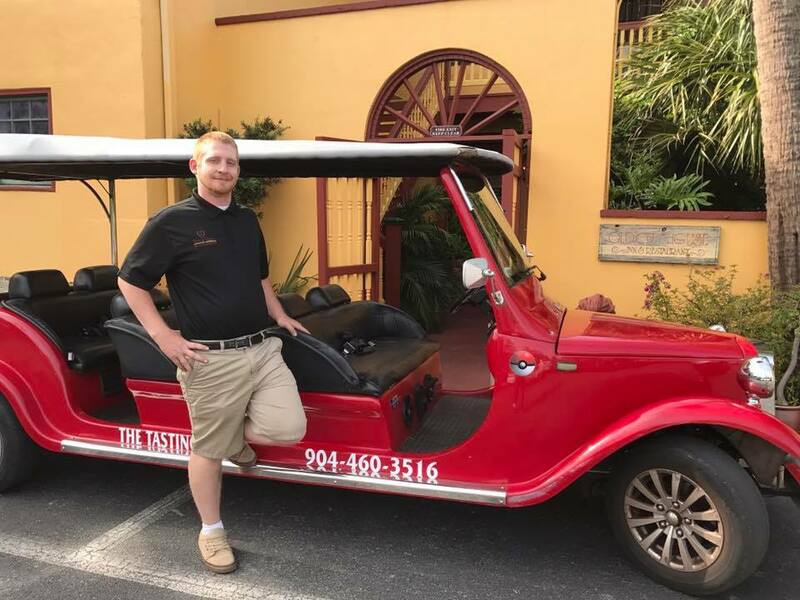 Our local tour host will take you on an exploration adventure, of our historic city, as you partake in a fantastic culinary experience! ​*Beer can be substituted for wine upon request. 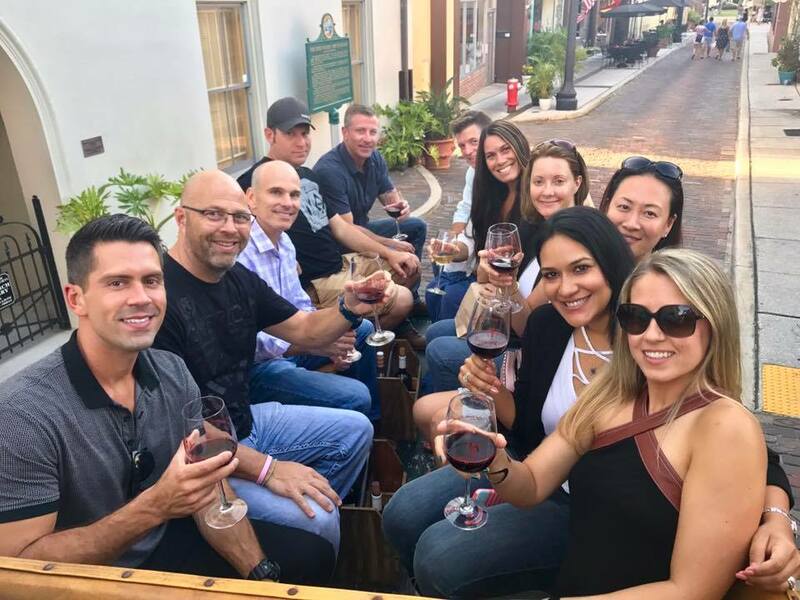 3 hour food and wine tasting extravaganza via horse drawn carriage! ​Meander the streets in true southern comfort as you TASTE and SIP your way through St. Augustine’s historic district. Tour includes boutique wine on the carriage ride, as well as souvenir glasses to take home. 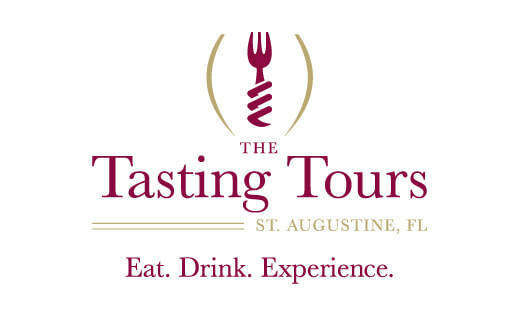 Wake up and enjoy on this culinary experience with some of t﻿﻿he best restaurants in St. Augustine. Enjoy our 3-hour Food and Bubbly Pairing Tour via our rockin’ red roadster. This rollin’ tour provides a brunch variety from Greek to Irish, that will be the perfect way, to start your Sunday off right!